Transfer deadline day saw the Gas who let Stefan Payne return on loan to former club Shrewsbury Town, Kyle Bennett joined Swindon Town on loan for the rest of the season and Development Squad defender Ben Morgan has joined Salisbury on a month-long loan deal. In the opposite direction the Pirates added two Coventry City players. Manager Graham Coughlan announced the signing the signing of 29-year-old midfielder, Abu Ogogo, on a free transfer. Ogogo, has a vast amount of experience, with a tally of 400 senior games under his belt in his 11-year career so far. Starting out his career at Arsenal as a trainee, he later spent six years playing at Dagenham before moving to Shrewsbury in 2015. Last season, Ogogo was named the Shrews team captain, with over 40 appearances in a successful campaign that saw them appear in two Wembley finals. He joined Coventry last July. Ogogo had been struggling for game time with the Sky Blues, playing in just six league games with four appearances from the bench in the division. Jonson Clarke-Harris, was then announced well pass the 11pm January transfer window deadline. The 24-year-old striker was reported to be the subject of interest from two other better placed clubs in the division, with one understood to be Fleetwood Town. Largely used from the bench in recent weeks, the Sky Blues Academy graduate has scored six goals in 29 appearances this season. He has experience of playing in both League One and in the Championship after making his first-team debut at the age of just 16 back in 2010. Following a spell with Peterborough United and loan deals with both Southend and Bury, Clarke-Harris made a switch to join Oldham Athletic for the 2013/14 campaign. In 2014 the six-foot striker joined Rotherham United for a reported six-figure sum, he made over 50 Championship appearances during a four-year stint at the New York Stadium. He returned to the Ricoh Arena on loan in January 2017, scoring four goals to aid the Sky Blues promotion from League Two and made his return permanent in the summer with a two year deal. He has scored six gals in 29 appearances for the Sky Blues this season. Speaking to the official Bristol Rovers website, Coughlan said: “Jonson is a player that I have worked with before and someone who I believe is a top player at this level. 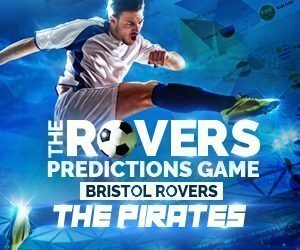 ← Previous Story Why do Bristol Rovers sing Goodnight Irene?